The head coach of the Lithuanian national men's basketball team, Jonas Kazlauskas, said on Tuesday he was to step down. Headed by Kazlauskas, the Lithuanian team ranked 7th in the Rio de Janeiro Olympics. "I am proud of having succeeded in many things, but the time comes when everything has to end. My contract is over and there's nothing to think about. This was the last year for me," the coach said at Vilnius Airport. 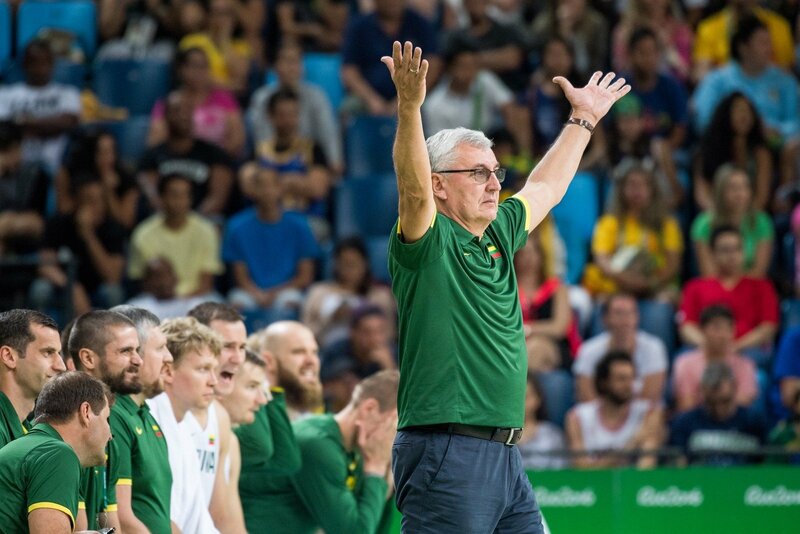 The Lithuanian team enjoyed an impressive start in the group matches, scoring three victories, followed by defeats by Spain, Croatia and, in the quarterfinals, by Australia. The defeat ended the Olympic cycle of 2013–2016 where Kazlauskas headed the team and secured European vice-champion titles in 2013 and 2015, ranking 4th in the 2014 World Championships. During the cycle, the team played 81 matches and secured 61 victories. Kazlauskas was first appointed to coach the Lithuanian national team in 1997 and left after the fiasco at the 2001 European championship.